Toward the end of this past week, I began listing items from our storage unit for sale on Craigslist. One of the listings was for a group of hand tools, and a gentleman from Jackson, Tennessee, wanted to take advantage of our bargain-priced tools. Once I learned where he lived, I hated to ask him to drive all the way down here to pick them up, and I certainly did not want to drive half-way to simply meet to complete the transaction and come back. Lucky for me, Jim and I had decided a couple of weeks ago that we really needed make an effort to visit places on our “do” list before leaving the area. Actually, we’d discussed going to Tupelo, Mississippi, to visit the Elvis home and museum there, but I knew we could modify our plans. 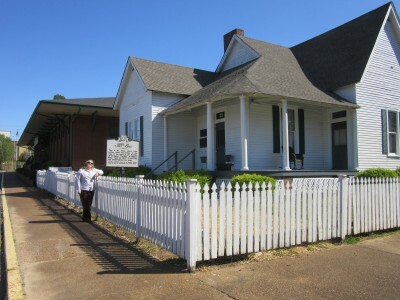 Checking with Jim about this, we agreed we would head to Jackson last Saturday and visit the Casey Jones Museum, Country Store, etc. instead of taking the trek south. Our Craigslist customer was thrilled at his good fortune. Bright and early Saturday morning, Jim and I got ready to go, took care of Chewie (he was not happy to be left out of this adventure, but doggies would not be welcome where we were going), and loaded the tools into the car. We enjoyed the scenic route down which our GPS carried us. 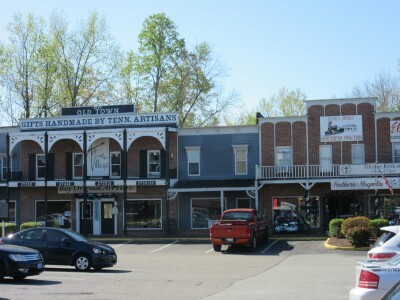 If you’ve followed our blog long enough, I’m sure you can imagine the thoughts, comments, and snickers Jim had when he realize we would be passing through a community known as Finger, Tennessee. 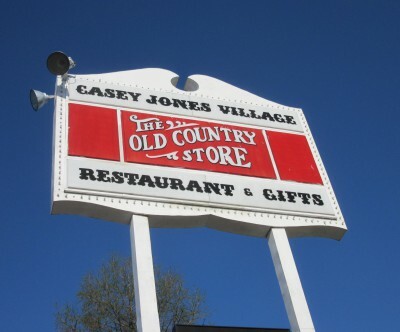 Our trip was uneventful, and we arrived at the Casey Jones Village just slightly before 9:00 a.m. 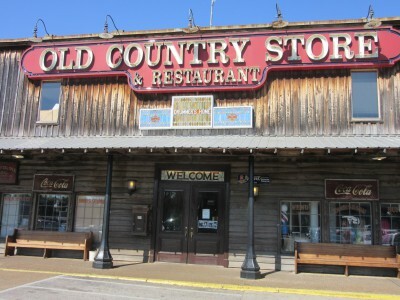 I texted our customer with info on where we were and gave him a two or three hour window to meet us, and then Jim and I went into the Country Store and made our way to the restaurant, which serves buffet Southern-style meals for breakfast, lunch, and dinner; we were obviously having breakfast (a brunch for us). 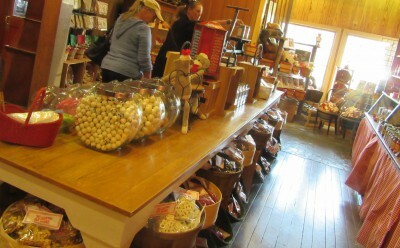 After a very filling meal, Jim went straight for the barrels of candy that lined the entrance to the store and filled a brown bag full of candy to restock his treat jar at home. 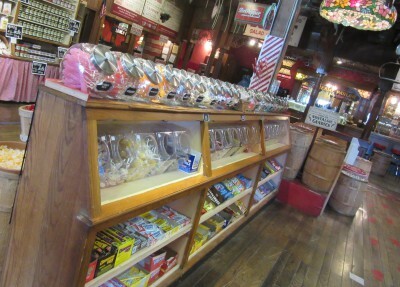 Then we meandered around the store, enjoying looking at the other items for sale, the soda fountain, and cafe. Candy and . . .
more candy . 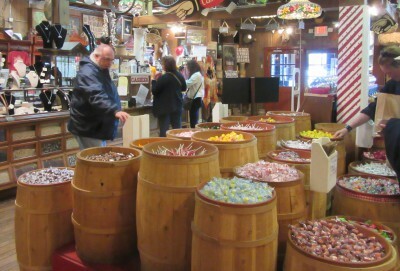 . .
Jim picking out his candy – Yes, the kid was in the candy store! We left the store to look at the other shops and attractions as we slowly made our way to the museum. We’d not gone too far when the text came through that our customer had arrived. Jim handed him the tools; the man gave Jim the money (which Jim gave to me), and then we chatted for a bit before he left, and we returned to our exploration. Finally, Jim and I made it to the museum. We’d both heard of Casey Jones, but neither of us knew much about his story. 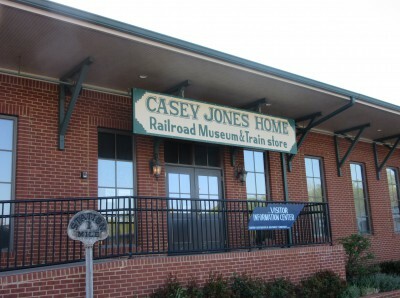 Jones’ real name was John Luther Jones, but he gained the nickname “Casey” Jones because he had once lived in Cayce, Kentucky. 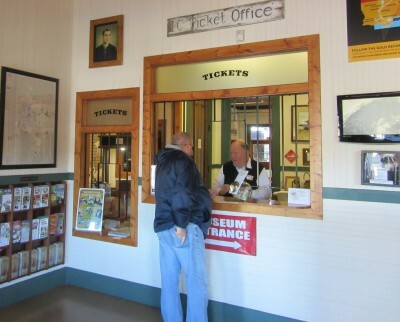 He was a tall man, almost 6′ 5, and Casey began working on the railroad around the age of 17. He worked his way up to engineer, and he was known for his unique train whistle sound and his record of being on time. 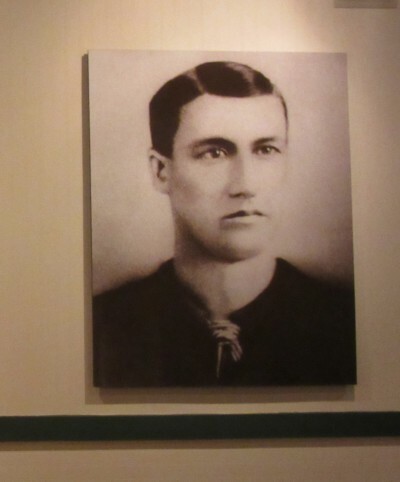 One night in April 1900, pulling a double shift, Casey drove the train from Memphis back to Canton. The train was behind schedule when he took over, so he pushed it hard in his attempt to arrive on time. 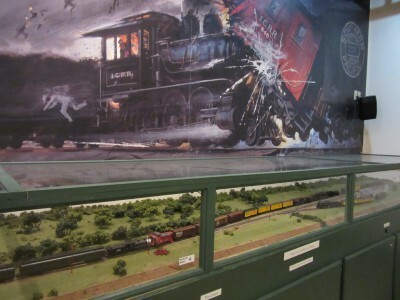 About 14 miles from his destination, in a town named Vaughn, he came upon another train with cars stalled on the track. Since the situation did not come into view until he was around a curve, he had little time to slow his speeding passenger train. He had the other workers in the engine jump as he worked to slow the train to save the passengers while also continuing to blow the whistle to warn those ahead. Casey died in the wreck, but he saved all of the rest. His colleague, Wallace Saunders, thought so highly of Casey that it is said that only he took Casey’s death as hard as Casey’s family. Casey left a wife and three children. Saunders wrote a song about Casey that kept his memory alive and his legend growing. 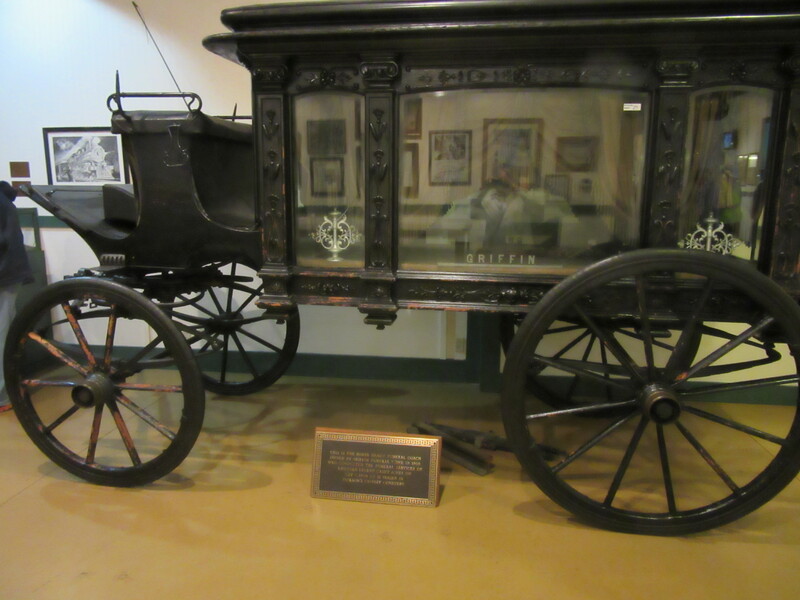 Casey’s family remained in Jackson, Tennessee, after his death in 1900, and some descendants are still there today. This was a nice little outing and educational for both of us as neither Jim nor I knew much about Casey Jones other than he is a well-known train engineer. 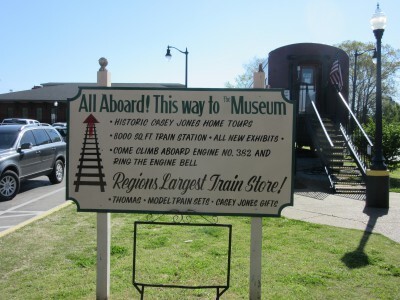 The Casey Jones Village and Museum is located conveniently off I-40 between Nashville and Memphis, so it could make a good stop if traveling that route.